Auli is a snow covered hill station located at an altitude of 2-3 thousand metres above sea level, providing a very beautiful view of Mt Nanda DeviKamet, Mana Parwat, Dunagiri, Beethartoli, Nilkanth, Hathi Parbat, Ghori Parbat and Nar Parbat, is an ideal place for Skiing, covered with evergreen conifers and oak forest. The snow dressed slopes of Auli which once offered the training grounds for the Paramilitary forces was adjudged by the French and Austrian experts who compared it with the best skiing grounds of the world, and rated it as one of the best. In summer season, hikers may find numerous marked walks and there also are mountain bike trails. Gorson Reserve forest which is part of the Nanda Devi National Park is habituated by some of the widely rare Himalayan wildlife in ample. These include snow Leopard, Musk Deer, Wild Boar, Wild Cat,Wild Rabbit, Jackal, Fox, Hyena and Bear. 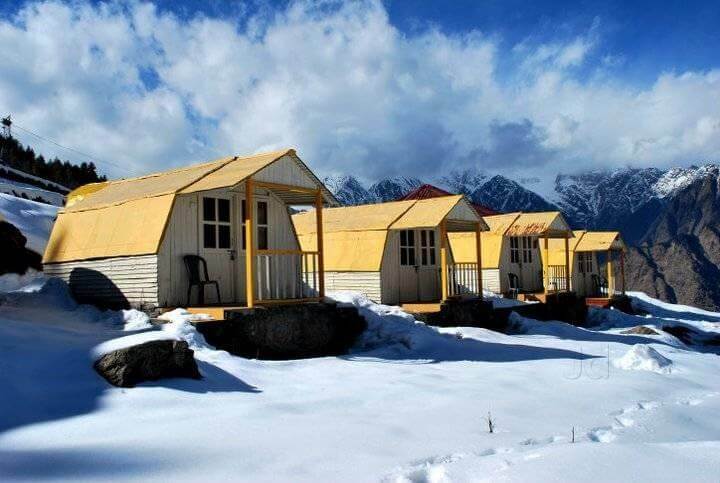 Auli is the best destination for you in Uttarakhand. For enthusiastic winter sports lovers, it houses some of the best slopes covered with Deoadar and Oak forest reducing the velocity of chilling wind. Witnessing the panoramic view of the Himalaya from Gondola can be an unforgettable experience. Best time to visit is January to March when nature decors the land with dusty snow. If you love to go for trekking, Auli to Badrinath and Auli-Kuari Pass trek are some of the best places for adventure trekking in Uttarakhand. Auli in the Indian state of Uttarakhand is renowned for the fascinating ski resorts and stunning natural vistas. Bounded by the snowy peaks of the mighty Himalayas, this hilly terrain offers the enchanting sceneries of oak fringed slopes and coniferous forests. The sheer inclines of Auli are a hot spot of courageous men who dare to explore the demanding environs. The snowcapped mountain ranges, the screech of the winds and the entertaining skiing, Auli is bestowed with all that is enough to thrill the onlookers. The nature at its full bloom gives a feeling of an awe inspiring time, which cannot be wiped out from our wildest dreams.